If street shopping is one of your passions and bargaining is one of your strengths, then you can definitely go to the Yashow Market. The market is large and you will find innumerable goods here. Mainly it is a cloth market, but you will find various other goods. 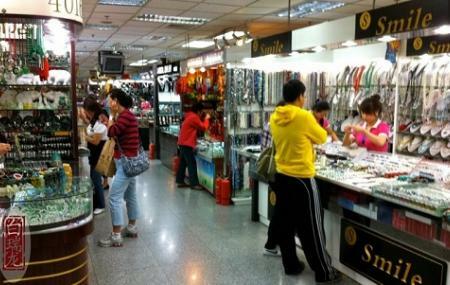 The place is well-known for selling duplicate items of international brands. But the production is so high-quality that people get confused when they try to compare the duplicate products with the original ones. The market is large and you would love to explore it. Visit the place with your shopaholic tour companions. To personalise your visit to the city, you can use an all-inclusive Beijing trip planner for the same that will give detailed information about visiting the city. You can add cozy hotels in Beijing like Beijing Wang Fu Jing Jade Hotel, Citytel Inn and Days Inn Forbidden City Beijing. Find out how to reach Beijing to begin with. Plenty of wholesome Beijing vacation packages are available to choose from, pick your today! How popular is Yashow Market? People normally club together Solana Lifestyle Shopping Park and Solana蓝色港湾美食广场 while planning their visit to Yashow Market. It's really closed permanently, dont try to go. Go to Silk Street Mall. This is good place to buy fake products here, in this market dont believe anyone. If someone want to buy real products never go in. Everything in this market is fake.